1. Place asparagus and cherry tomato halves on a baking sheet. Toss with 2 tablespoons olive oil, sprinkle with salt and drizzle with balsamic vinegar. Roast, uncovered, at 400 degrees for about 15 minutes, until asparagus is crisp-tender and tomatoes have popped. 2. While veggies are roasting, prepare pasta according to package directions. 3. For dressing, combine green onions, white vinegar, garlic, and soy sauce in a food processor or powerful blender. Gradually add the 1/2 cup olive oil in a steady stream. 4. 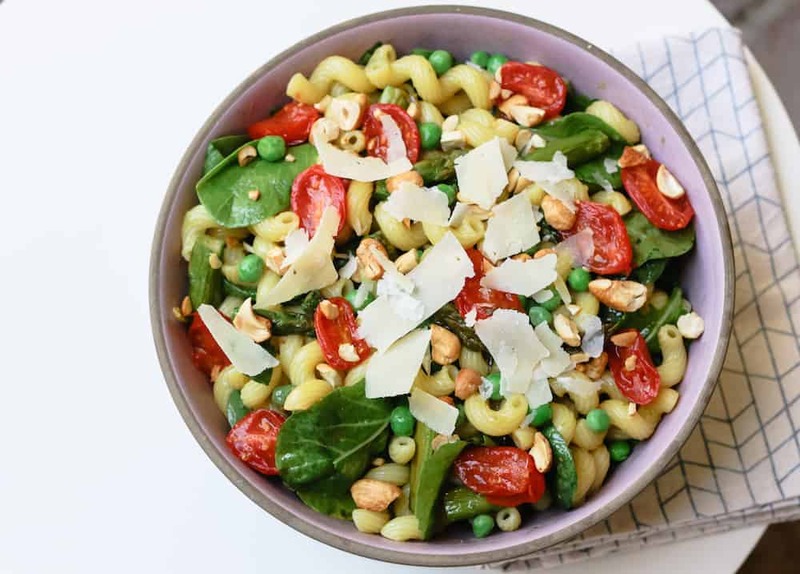 After veggies cool, toss pasta, spinach, peas (just throw the peas in frozen, they will defrost quickly), asparagus, tomatoes in a large bowl. Add dressing, toss to coat. Add salt and pepper to taste. 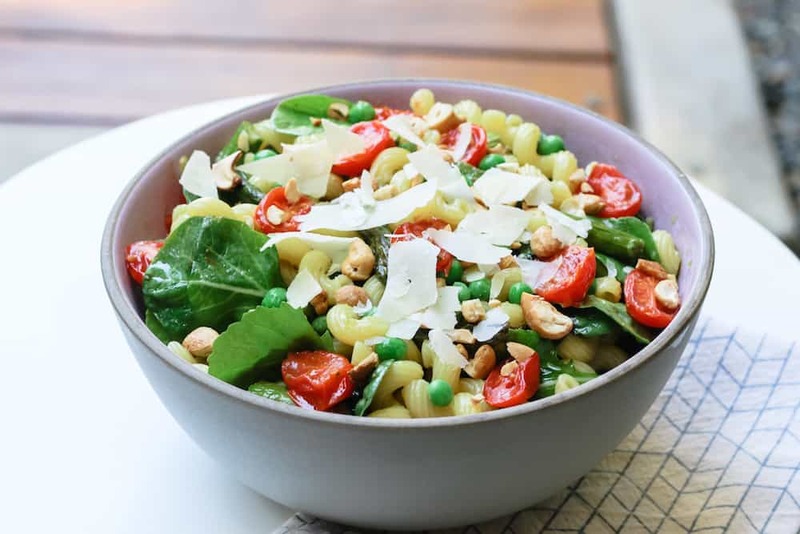 Sprinkle with cashews and parmesan cheese.